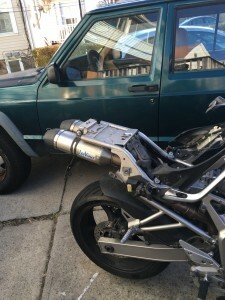 I’m preparing my beloved 2005 Yamaha FZ6 to be a sport touring moto-camping machine for this coming spring. I’ve had a pair of soft saddle bags, but unfortunately some bad loading and a few bumps caused some serious tire wear on one of them that ripped a hole. They’ll still be fine once taped up for around town grocery runs, but they’re no longer waterproof for sure. 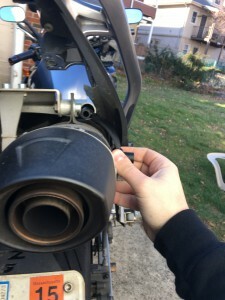 I solved this by going to my good friends at RevZilla, who sell all sorts of awesome motorcycle stuff. 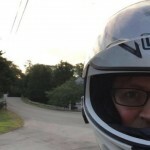 If you have a bike and don’t order from them, you are missing out. 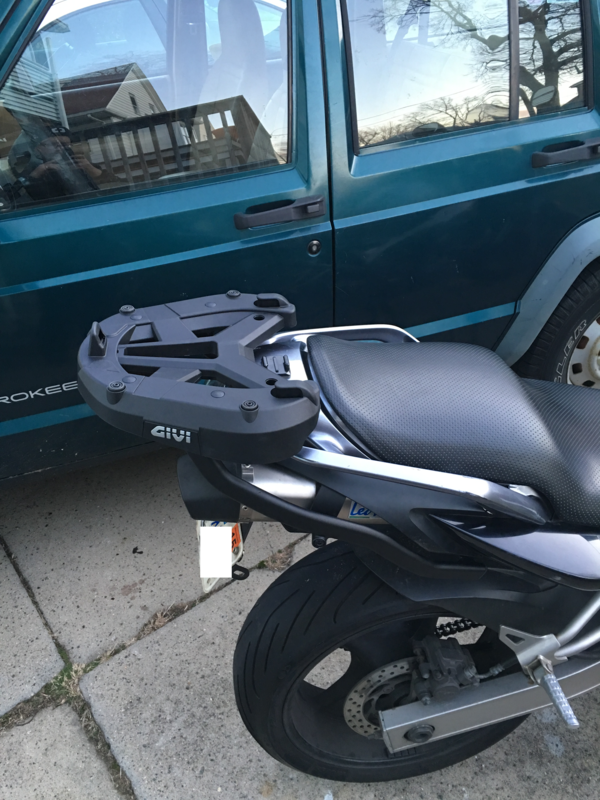 I picked up a Givi top box and the associated bracketed and set to work installing it. 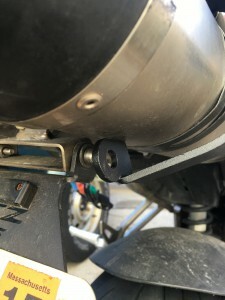 The problem I expected to encounter (and did) is that the 351FZ mounting kit is designed for the stock exhaust system on the FZ6 – not my lovely (and aftermarket) Leo Vince EVO II full system. 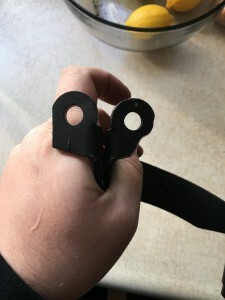 Once again, let me sing the saga of how a Dremel is the best tool you can own! I believe that’s what you call “not fitting!” The bottom of the bracket rubbed so much on the exhaust pipe that it couldn’t even come close to the mating surface. Making this even more difficult is the fact that I have an aftermarket license plate mount too! Well, a half hour of measuring, cutting, trimming, and grinding with the Dremel and we get these lovely little things. You can see the original bracket on the left, and the modified one on the right. A quick coat of Rustoleum black later, the now-fitting brackets are ready to install. And they fit like a glove! 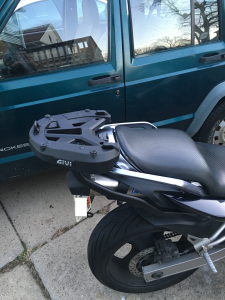 I’m super happy with the quality of the Givi kit. 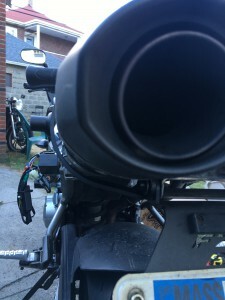 It follows the lines of the back of the bike nicely and doesn’t look obnoxious or too out of place compared to some other mounting systems I considered. I still need to figure out the style and capacity case to get, but that will depend on how my planning for spring time adventures go. tl;dr: you need a Dremel if you don’t already have one.